The true story of international athlete Eric Liddell hits theaters on Nov. 3 and will showcase the last years of the Olympic gold medalist's life as his faith in Jesus Christ led him to serve others under some of the most dire circumstances during World War II. The Scottish born Olympian is mostly known for giving up his fame, endorsements and luxuries to serve others and honor his faith. 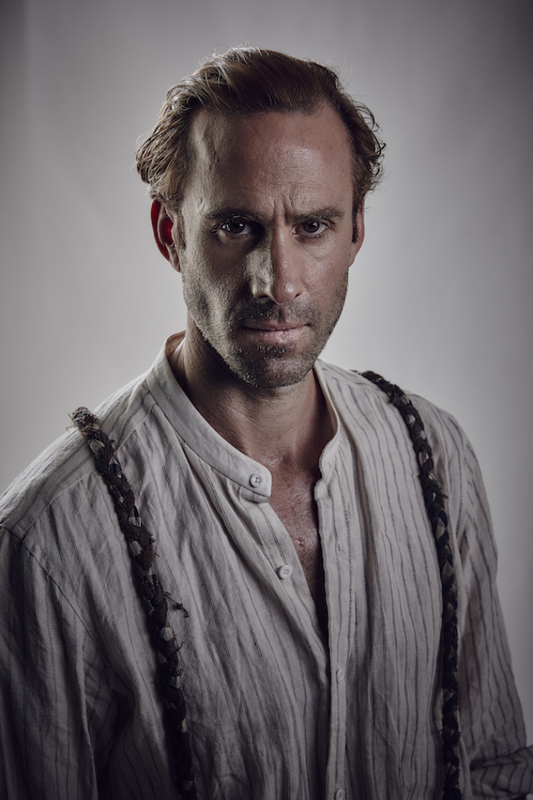 The film stars Joseph Fiennes ("Shakespeare in Love," "Risen") in the role of Liddell and is gearing up to be the modern-day telling of "Chariots of Fire," which is an Academy Award-winning film that tells a portion of Liddell's story. According to the film's synopsis, "'On Wings of Eagles' tells the story of Liddell's glorious life after winning Olympic gold in the 1924 Paris Olympics. Liddell, played by Fiennes, has returned to China, where he was born to missionary parents, modestly avoiding celebrity in order to teach local schoolchildren. "In 1937, the Japanese invade China at the outset of WWll. Liddell with his friend Xu Niu (Shawn Dou), a street smart resistance fighter, recognize the increasing danger so Liddell sends his wife, Florence (Elizabeth Arends) and their two daughters to safety in Canada. Duty-bound, Liddell stays to minister to the civilian victims. "Liddell and other foreign nationals are taken as prisoners and placed in one of the many Japanese internment camps where they are forced to endure for two years. Before the Japanese surrender, Liddell succumbs to a brain tumor. Yet his message of the Gospel became immortal. Liddell's legacy continues to this day as he remains admired as a champion for life." Speaking about portraying Liddell, Finnes says: His "life is a series of challenges. They talk about athletes that have to go through a wall of pain when they run very fast in order to get to the ultimate place to win the race you have to go through this intense pain barrier. I feel that in Eric's race that pain barrier escalated every day that he managed to bring his meditation to break through that pain barrier. So to me, he was the champion of champions." "On Wings of Eagles" was directed by Stephen Shin, who is a devout Chinese Christian. The movie will be in theaters nationwide Nov. 3. ON WINGS OF EAGLES - US Trailer from Daniel Lawrence Abrams on Vimeo.